If it's time to upgrade your home security system, then invest in a brand trusted by so many to provide around-the-clock peace of mind for the whole family. With Ring, you're in control. Record brilliant 1080p HD video with wide-angle views and night vision features. Includes built-in microphone and speakers, 110-decibel siren alarm, and custom motion zones and scheduling. Available in black. Enjoy the many options only Ring can bring you. Features wired or wireless installation, built-in mic and speaker, instant mobile alerts, custom motion sensors, infrared night vision and so much more. 1080p HD video and Wi-Fi connect. Experience the smarter way to protect your home from the inside out. Control your entire security system from one single app. Receive instant mobile alerts whenever motion is detected. 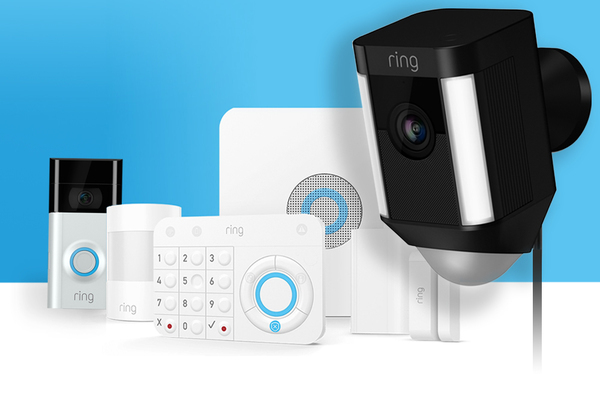 Connects to any Ring Doorbell or Camera.